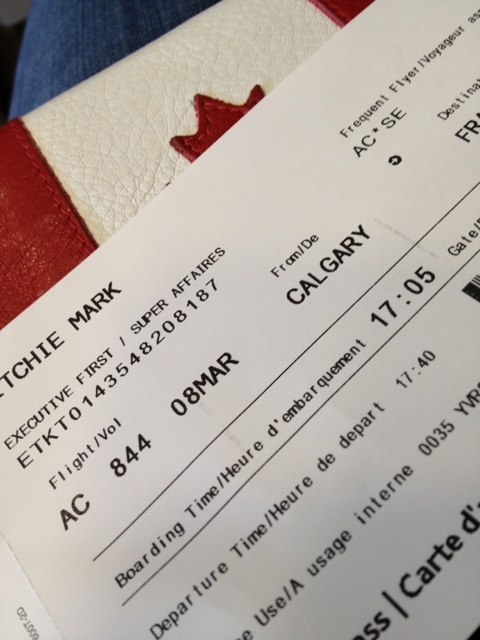 I have just boarded Air Canada flight AC844 from Calgary to Frankfurt, it is not really a long flight, but an Air Canada eUpgrade is always welcome! About half my flights are upgraded On Air Canada, but riding in the back of the bus isn’t always so bad as their seats are quite comfortable and their service is generally quite good. 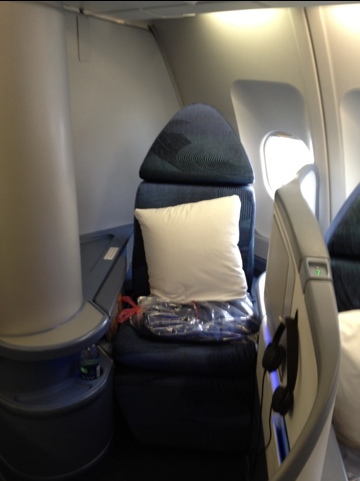 I usually have no complaints about where I sit, as long as it is not a middle seat! Heres a little picture of my Air Canada Suite. This is where I will rest my head for the next 9.5 hours. One more thing, I am not sure if it’s my imagination, but it feels like the A330 suites are bigger than those on a 767 or 777?